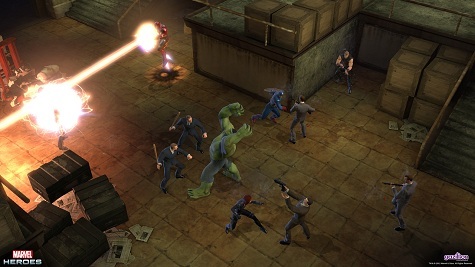 Gazillion Entertainment has announced that closed beta registrations are now being accepted for the just-started testing cycle for Marvel Heroes. Stephen Reid has also published an FAQ for potential testers about what they can expect for the selection process. Notice I did say â€˜testingâ€™ and not â€˜play a demoâ€™ or â€˜play the game earlyâ€™. When we say â€˜Closed Betaâ€™ it means that youâ€™re testing unfinished software. Marvel Heroes is still in active development, and everyone who applies for Closed Beta should realize, quite simply, that itâ€™s not done. We hope youâ€™ll enjoy playing, but we also hope youâ€™ll help us make the game even better with great constructive feedback and dedicated testing. Taking part in a Closed Beta can sometimes be more like work than play â€“ but itâ€™s a unique chance to see a game taking shape, and to get an insight into development. We still know many of you are excited to get into Closed Beta and help us test. We just need a little more information from you to make that happen. Letâ€™s break down the next few steps. ← Guild Wars 2 : A Treat, or a Trick?Guild Wars 2 : A Treat, or a Trick?